Cupping Therapy was banned in the United States because some practitioners were blood letting during the procedures. 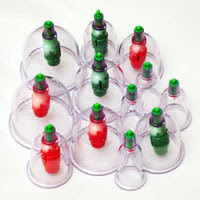 Not all practitioners were performing Wet Cupping, but many who were caused a great deal of problems and so, Cupping Therapy, as a whole was prohibited. As a PhD, Naturopathic Doctor and Acupuncturist, I am relived to see the efforts of groups like the International Cupping Therapy Association working with governmental regulatory bodies, insurance companies and medical associations to irradicate the ban, educate the medical industry and the public to the benefits of Cupping Therapy, thereby reintroducing it as a safe, effective therapeutic treatment. But, as a Muslim, I believe trying to force Hijamah in the U.S. and Canada will result in all Cupping modalities being clustered together and once again banned, especially if the demanding the right to provide the therapy by non-medical practitioners is based on Religion in used. The existing medical system will be very unreceptive to allowing this, because groups like Hijama Nation are claiming that someone should be afforded the right to bypass being a medical professional to do this invasive, surgical procedure, based on their religious beliefs. This is dangerous and will result in Hijamah not only being prohibited in the U.S. and Canada, as it currently is in Saudi Arabia (because of this very reasoning), but then ALL Cupping will be prohibited. Why people like you always insist ONLY for a Hijamah therapist to be a medical professional, why you ignore that he / she should also be a true follower of Sunnah, understanding the ISLAM properly, and then maintaning HIJAAB is so essential in every field of a Muslim's life, in due connection, we insist that Hijamah for a woman should be done strictly by a female Hijamah therapist. Do not get afraid of those BANS, they are totally under the control of Allah's Hands, Hijamah is not recognized in most parts of the world including many Muslim countries, it is because we Muslims ignored it for the last few hundred years. We also ignored the rest of Tibb-e-Nabawi, the herbs & the blessed diet. Forgetting ISLAM is like forgetting ALLAH, and whoever forgets Allah, he / she is Enforced by Allah to forget himself / herself, he / she will never know the destinations in this world.